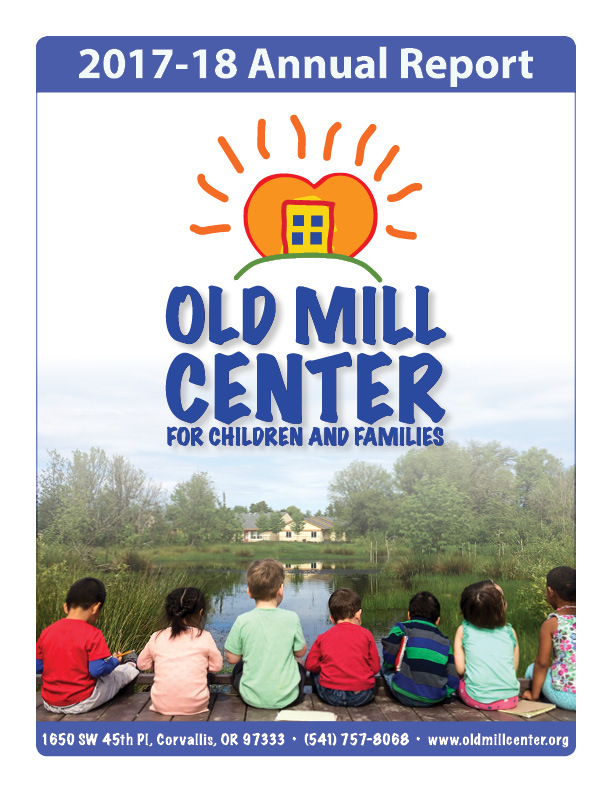 Old Mill Center for Children and Families is a full-service provider of preschool, mental health, early intervention and parent support for children birth to 18 and their families. Our services address the educational, social, emotional, and family needs of a diverse population of children. 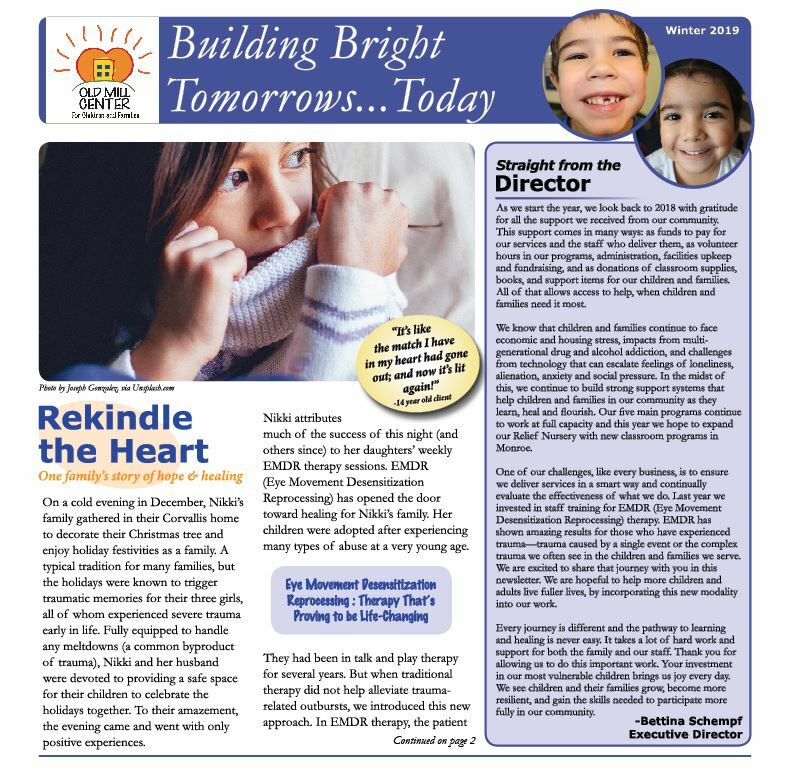 Donate to Old Mill Center to fund services that make a difference in the lives of children and families. Help us open a satellite Relief Nursery in Monroe so we can extend our services to southern Benton County. Join our sustaining donor program. Like to help in a more practical way? See our wishlist for ideas. There’s no better way to learn about the mission of Old Mill Center than to volunteer your time here. We’re looking for people to join our team. See our employment page for position descriptions and more details.